I have had this idea in my head for a while, an Iron Warriors kill team with boarding shields but for Warhammer 40K and not 30K. These were marines who had been fighting the Long War in the old style, plus I loved the look of them. In a moment of madness while scrolling through Bolter and Chainsword yesterday I put these together in a rush and everything seemed to just fit into place. I hadn’t even thought to look at the rules to be honest until after I made them and thankfully they actually are a legal unit, ok the choice of gear may be terrible but still. It works. 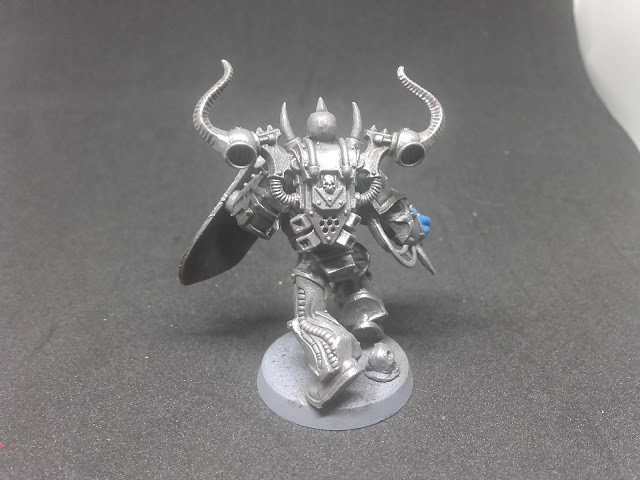 I chose and converted my choice of marines, using some old possessed models and aged sculpts to show off Veterans of the Long War(listen that is my excuse and I am sticking to it!). 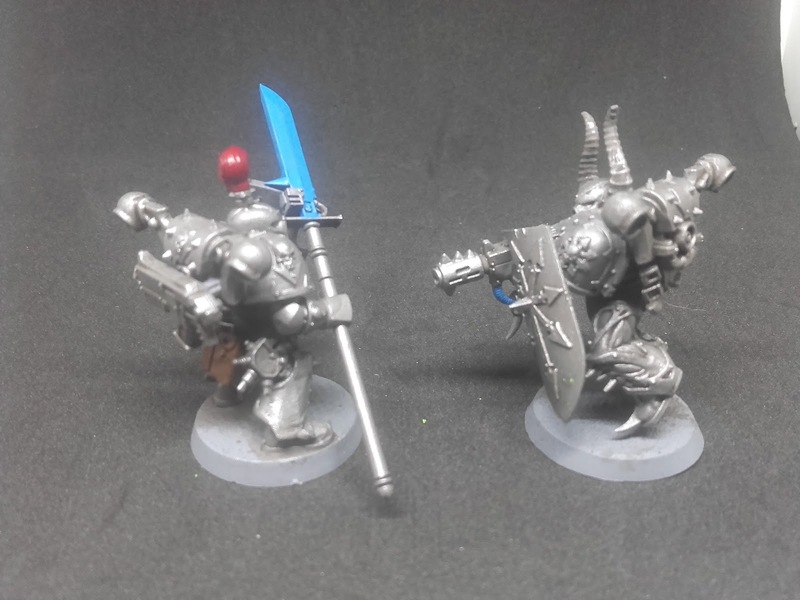 To get that Iron Warriors look I was going for I base coated them grey, washed with earthshade and dry brushed a silver over. I wanted to have various members of the team sporting extra gear and such to represent a team able to handle everything through at it. Sadly I didn’t actually have too many spare pouches and gear laying around suitable for it. Still an auspex would be handy for Caedes to help them navigate there way to the target. 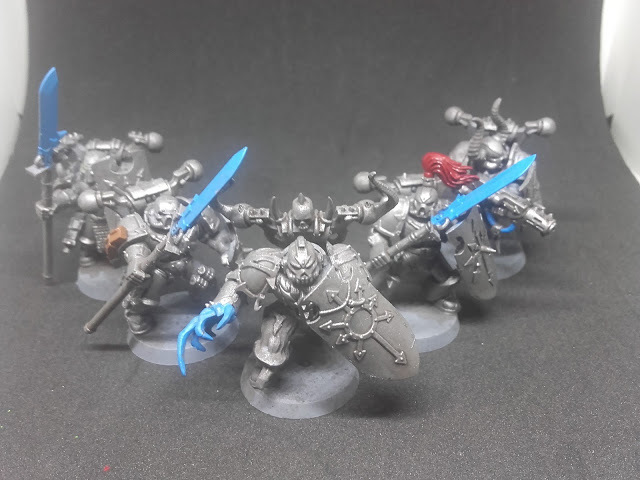 Iron Warriors: Kill Team Caedes Champion Aecta. I was tempted to try do yellow hazard stripes around the entire base, do you think it would look in theme or tacky? 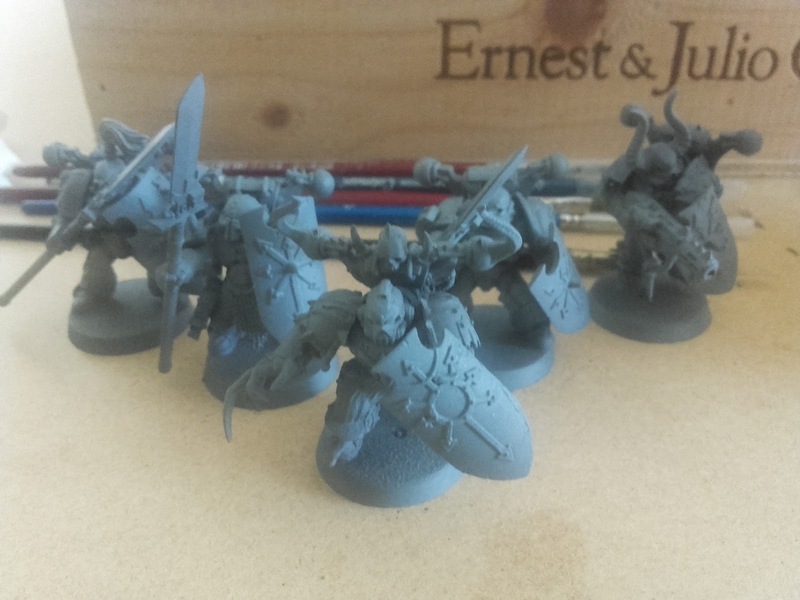 Special thanks goes to my good friend tOther, whose spare parts made a lot of the squad.